Our land has taught us the taste of tradition, the beauty of art, the pleasure of authenticity. 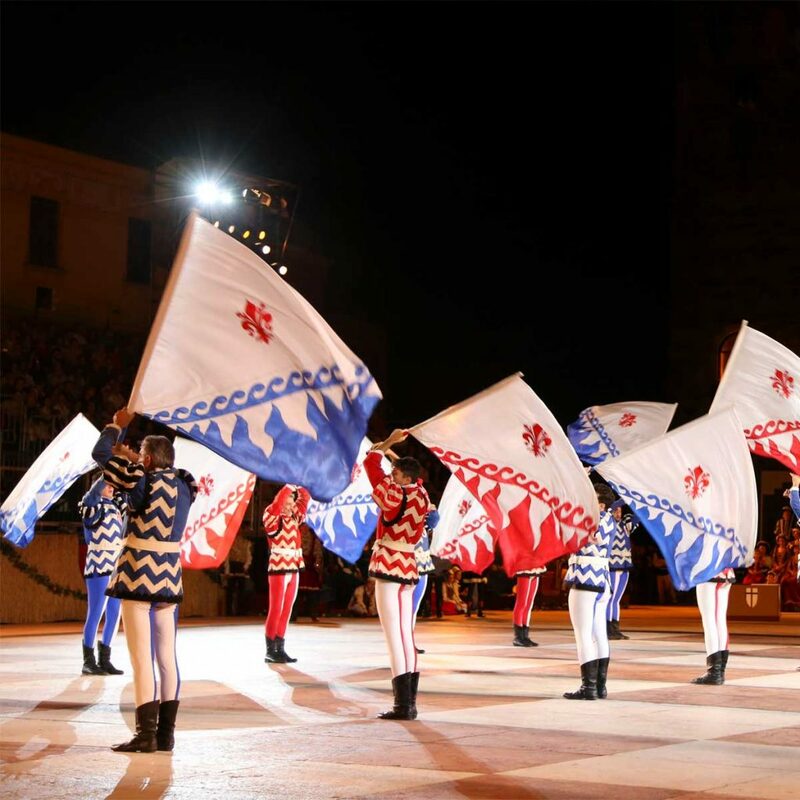 Marostica is a vision that takes your breath away! When you enter the lower castle square, you are completely surrounded by its medieval beauty; the perfect balance between architecture and landscape which dates back to the era of Cangrande della Scala. 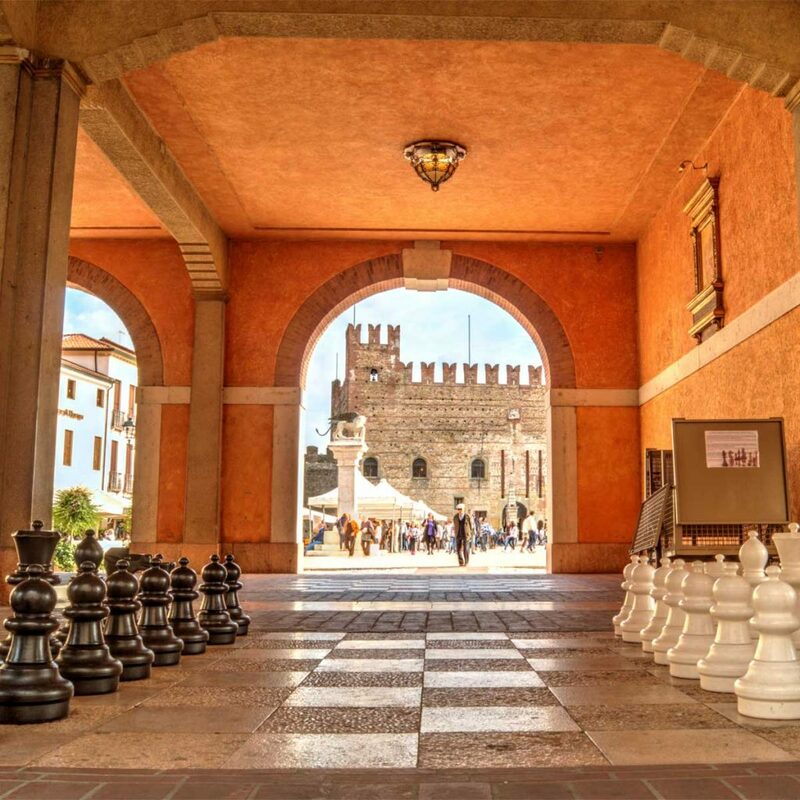 Its picturesque square, which is home to the most famous chessboard in Italy, colourful palaces with adjoining porticoes, and its wall that climbs to the upper castle. Take a pleasant break by strolling through and enjoying the beauty of the crowd-friendly square. 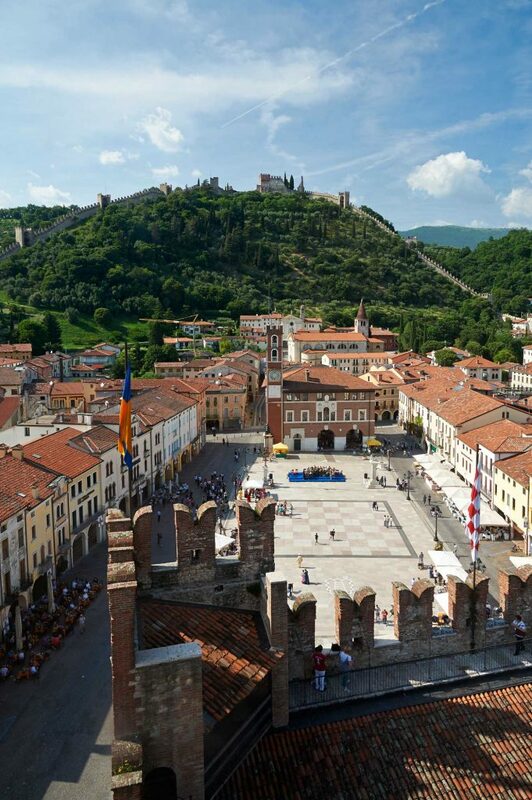 Marostica is famous throughout the world for its chess game with living chess pieces in the lower castle square. This special event, which takes place every two years, is held on the second weekend of September. The “Chess” city is at the foot of the Asiago plateau, known as the mountain of “Sette Comuni “(the seven municipalities) and is very well known for its naturalistic beauty and for its typical local products, among which is the famous Asiago cheese: Extra-Aged Asiago Cheese is fantastic. Cherries are a delicious mark of excellence of Marostica. They are known for their roundness, firm flesh pulp and colours ranging from fire to dark red. 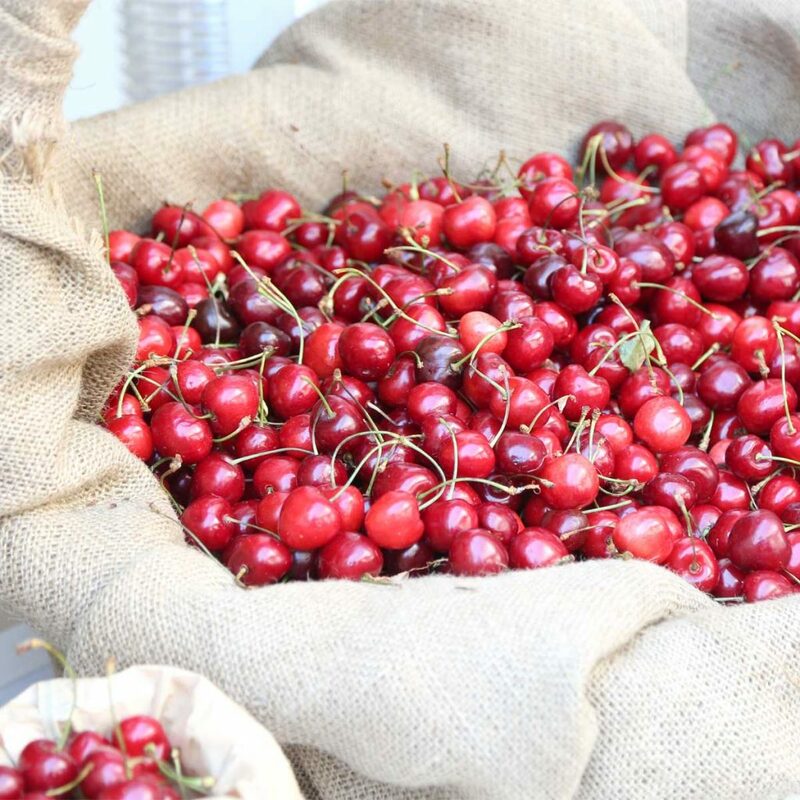 The Marostica cherry is the first Italian cherry to obtain the European mark of Protected Geographical Indication.